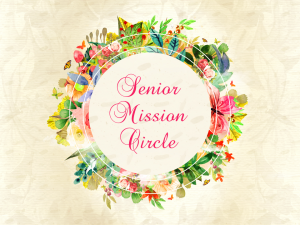 The Senior Mission Circle is a missions group for senior ladies formed in 2016 by our Women on Mission group. We meet the 4th Monday of every month at 11:00 am at various locations. Some of our ladies are unable to travel so we take the meeting to them! We offer opportunities to learn and do missions projects; for the community and for the world. For this month’s meeting location or for more information, please contact Peggy Austin at 843-273-0146.